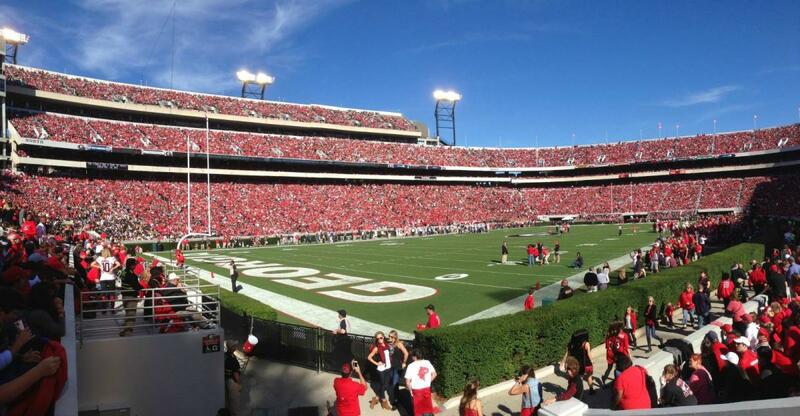 Saturdays in Athens aren&apos;t just for fall! The Georgia Spring Football G-Day Game is the first taste of Georgia Bulldog football between the hedges, where fans can get a look at the future of the team. UGA&apos;s G-Day Game is fun for friends and family to spend time together in Athens, tailgate, and celebrate Georgia Football. You won&apos;t want to miss this opportunity to celebrate Georgia Football! 2019 G-Day is scheduled for Saturday, April 20. Kickoff will be at 4 p.m. and gates will open at 1 p.m.! Make sure to arrive early. You won&apos;t want to miss the events beginning at 2:00 p.m. with the annual Bulldog lettermen alumni flag football game! The game will be televised on ESPN if you can&apos;t make it to Athens for the game. It&apos;s been just about three months since the heartbreaking National Championship game and we still have five months to go until the first football game on September 1, 2018. Everyone is starting to get a little stir crazy to hit the tailgates and experience some good ol&apos; fashion Georgia Football! With Kirby Smart&apos;s strong leadership and the number one recruiting class, we have some exciting things to look forward to for the Fall 2018 season, giving all Dawg fans the reason to come out and support the team in the Spring G-Day Game! The game will give fans of a glimpse of the future football team that will show up at the season opener in the fall. Fans will have the chance to see five-star, dual-threat football star, Justin Fields take the field and see how he stacks up against Jake Fromm in the Quarterback position. D&apos;Andre Swift will take the lead running back role, as the famous Nick Chubb and Sony Michel duo head to the NFL Draft and we will see how the defense fairs without Roquan Smith. Fans will also be introduced to the signees of UGA&apos;s class of 2018, many of who will be joining us shortly in Athens this summer. Plus, it will be your first chance to see all the new features that have been added since last year, including a new sound system and high definition LED video board. Now 52&apos; high and 100&apos; wide, fans can see and hear every replay throughout the entire stadium. The G-Day Game is always a high-octane scrimmage, and coach Kirby Smart encourages The Dawg Nation to fill Sanford Stadium to cheer on the Dawgs! Admission to the game is free. Which means, arrive EARLY if you want to score good seats! A pass system will be implemented this year due to expected high demand and construction on the west end zone. When fans arrive at the stadium they will a receive a pass with an assigned section to sit in. 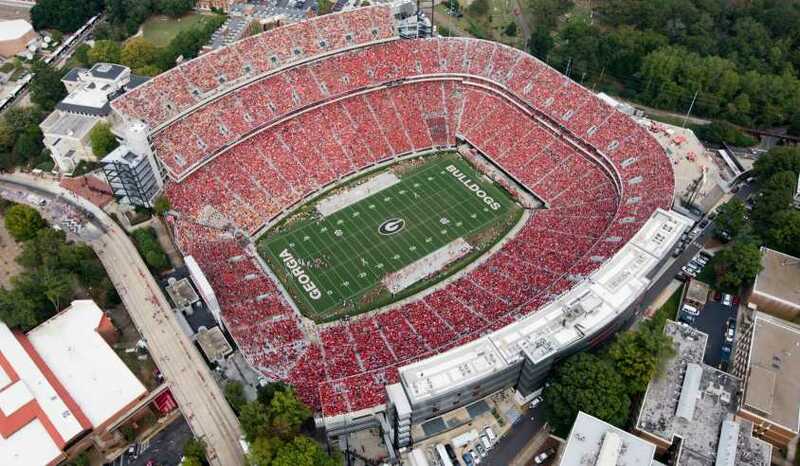 The University of Georgia Athletic Association asks that fans sit in their assigned sections and to enter the stadium near the section they&apos;d prefer to sit to reduce chaos and congestion. They are expecting a full house! Due to construction, Gate 10 will be closed but Gates 2-9 will be open as usual. The Dawg Walk will take place along the pathway between the Tate Center and the Miller Learning Center at 2:50 p.m. Gates open at 1 p.m. Also, note that the SEC&apos;s Clear Bag Policy will be in effect for G-Day. Halftime will include exciting events as well! Fans will be introduced to the UGA Football signees of the class of 2018. Additionally, Graduate Athens will be hosting a Punt, Pass, or Kick event. Fans will get the chance to win a two-night stay for each 2018 home football game weekend! Register here for the possibility to participate in the event. Don&apos;t forget to make donations to the Food Bank of Northeast Georgia! Similar to last year, fans are asked to make monetary donations rather than bring canned goods to the game. Fans will be able to donate in Sanford Stadium at the UnitedHealthcare display from 1 p.m. to kickoff at 4 p.m. or by texting GDAY2018 to 91-999. Hotels are booking up quickly but you can find Athens hotel availability for G Day here. Don&apos;t just come for the football, though. G-Day is a great excuse to head to Athens to kick back, relax, and enjoy the creative energy of our restaurants and live music venues. Before the game, take a stroll through UGA&apos;s beautiful North Campus and grab a casual lunch in the Downtown Athens Historic District at a local favorite like Clocked or Pauley&apos;s Original Crepe Bar. After lunch explore some of Athens&apos; famous attractions like the Double-Barreled Cannon and The Arch. Be sure to have all your Georgia gear ready in time for kickoff. The Red Zone, The Clubhouse, Tailgate, and The UGA Bookstore have an abundance of red and black to get you game day ready in no time! After the game head back Downtown to grab a bite to eat and experience the vibrancy of Athens nightlife. Start out at Trappeze Pub, The Globe, or Ted&apos;s Most Best for a casual dinner. Or if you are in the mood for something a little fancier, stop by The National, Five Bar, or Last Resort. Top off the night by heading to Creature Comforts Brewery or going to a concert at the 40 Watt or Georgia Theatre for a true Athens experience! 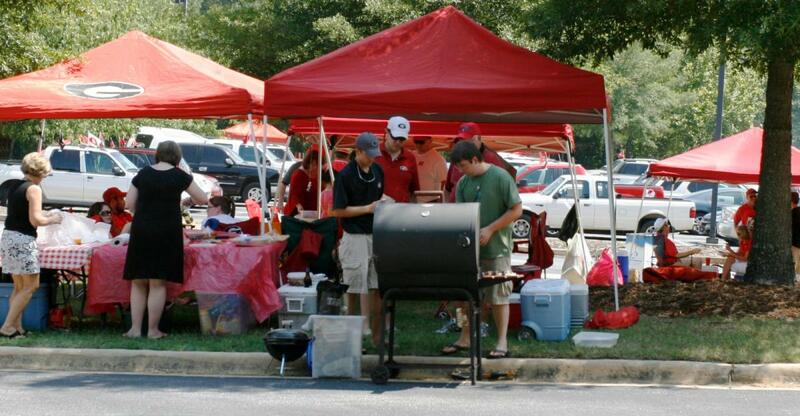 For more gameday suggestions check out our Football Weekends in Athens page. Have a favorite way to celebrate game day in Athens? Mention it in the comments below. Get ready for the day by gearing up on UGA Football Traditions and make sure to stay up to date on all the G-Day information at UGA Athletics&apos; page here. See you on April 21st! And as always Go Dawgs!!! 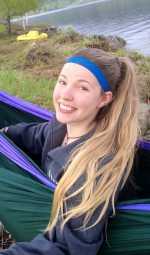 This blog post was originally published in April 2016 and was updated by Kacie Fogg on March 28, 2018.